6What’s the Future of Vue.js? Choosing the right framework for your product is like buying your first house. You must make a decision that will affect you in the long term and that cannot simply be undone once you’re bored or just aren’t fond of it anymore. And all the while you need to be aware that once you make the investment, you won’t able to afford a new one anytime soon. Even after you finally find a house you feel you’re ready to pull the trigger on, you still may have some reservations: you love the facade, but the backyard could be a bit bigger. You like the colors of the walls, but you’d prefer a slightly different shade. Plus, the kitchen kinda feels outdated. Well, let’s be honest—there simply isn’t a perfect house out there that would just have it all. Especially when it’s your first one. Even if you decided to build one from scratch, there would always, always be room (room, get it?) for improvement. And this is exactly how it feels when you have to choose between Vue, Angular, React, maybe Backbone, Aurelia, or some other library. Some of them feel good for your product, some of them don’t. They all have their flaws and all have aspects to them you just love. Nevertheless, it’s truly awesome that nowadays we’ve got so many viable technology options to choose from, and thus so many avenues we can choose to help us solve our users’ problems. Most people who follow Monterail know that we personally favor Vue.js and always suggest it as the technology of choice to our new clients. No two products are the same, however, and we like making educated decisions, unbiased by external factors. When you first start working with it, Vue may at first glance seem that perfect house you’ve been looking for. BUT. That’s right. There are always some “buts”—although in this case, they become noticeable primarily when Vue is compared to other technologies, as covered by Chapter Five). So, before you decide to add Vue.js to your technology stack, read this. Pssst! Reading this write-up will take you about one hour (for real). If you’d like to save it for later or for future reference, get the PDF version! “What’s all the buzz about?” you ask? Vue.js has been growing like crazy and there seems to be no stop to its rapid progress. And this is what makes it a one-of-a-kind solution. We first encountered Vue.js in late 2015 as we were looking for a viable alternative to AngularJS and React. AngularJS already felt outdated back then and we weren’t fans of React mostly due to the fact we weren’t initially sold on the whole JSX idea. 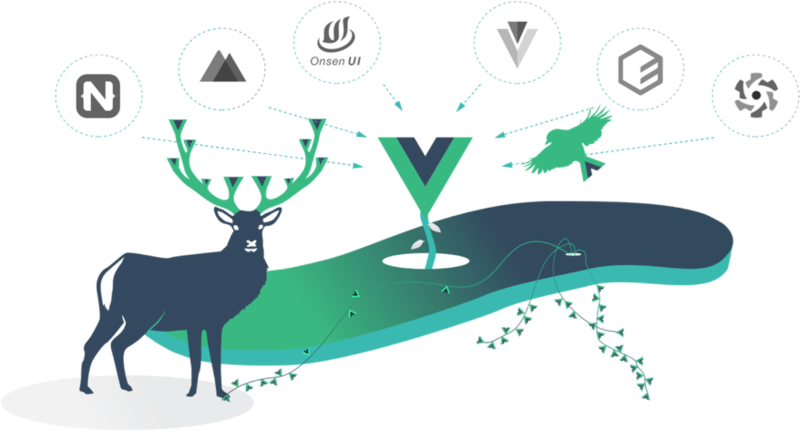 Vue drew our attention due to its super friendly documentation and over the next couple of months our developers researched Vue extensively within several internal projects to see whether it would fit with the rest of Monterail’s stack. Vue has seen a tremendous rise in popularity since we’ve first heard about it. Although it started out small, it has since been adopted by companies and business entities across the board, big and small, including major industry players such as Alibaba, GitLab, Sainsbury's, Codeship, and Baidu. Vue is flexible, easy to learn, and powerful. Its ecosystem is still growing and it already has everything you need to build all kinds of applications (yes, mobile apps, too). If you’re thinking now that you can say the same things about numerous other libraries, you might be right. You can probably build your dream app with any of them and you will meet your goals. Your users will never know if your product is Vue-based or any-other-framework-based and let’s be honest—most of them don’t really care. And yet choosing a framework is a hard task, because it will strongly influence your in-house production team (or your offshored team, if you prefer it that way). So what are Vue’s main selling points that make developers and business owners select it as their technology of choice? What is so unique about it? Some skeptics may say that Vue is not a viable choice because it lacks the support from large tech corporations like Google and Facebook (and let’s not forget the issues with React licensing from months ago). This opinion is truly belittling to the community standing behind Vue. The core team currently has twenty-two members to take care of the ecosystem growth. That’s not the whole story, obviously—since its very beginning, 164 people from all over the world have contributed to the Vue.js repository. Evan You, the creator of the framework, decided to dedicate 100% of his time to Vue and manages to do that thanks to his Patreon sponsors. The Vue.js core team also collects funding via OpenCollective, to cover the costs of their work and other expenses, and organize community events. Speaking of events—in 2017, our dear Monterail team organized the first international conference dedicated solely to Vue and 2018 will be bringing at least a couple of VueConfs across the globe. Vue.js is called a progressive framework for building user interfaces. 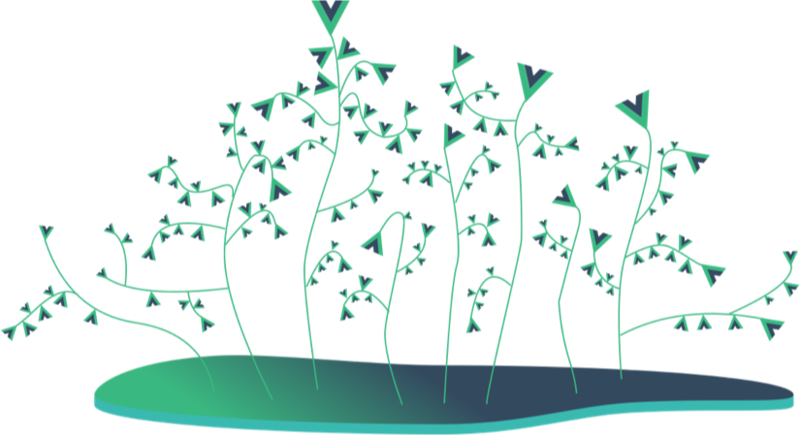 Unlike other monolithic frameworks, Vue is designed from the ground up to be incrementally adoptable. So what does it mean exactly? It means that Vue.js is a framework that you can progressively opt-in to. Regardless of whether you scale your app up or down, it will work just as well for you and will stay flexible in terms of tooling configuration, number of features, and team collaboration. For example, when a site’s complexity scales up, libraries like Vuex and Vue-router can be adopted incrementally. Ease of integration is the key advantage of Vue according to the survey results published in State of Vue.js. An impressive 81% of developers emphasize its relevance when it comes to Vue. This very trait was brought up by respondents more frequently than Vue’s documentation and performance. You can start working with Vue simply by adding a single line of code and *tadam*, you’re ready to go. On the other hand we’ve got React, which requires some decent knowledge of JSX and probably ES2015+, since many examples use React class syntax. Angular’s learning curve is even steeper. Users need to familiarize themselves with many various concepts before they can get productive. Its complexity may be the result of the framework’s focus on complex applications. Therefore, it may not be the best choice for less experienced developers. This one is slightly related to the previous point. Vue.js is easy to start with and makes coding faster. The time from writing the first line of code to releasing your MVP will be shorter than in the case of other frameworks. It also allows you to use less code to achieve the same results, and that means less time spent on development and better cost efficiency. To quote Matthias Götzke: The API is straightforward. The code is lean and not over-engineered. The choices made are logical. Code has clear separation of concerns and doesn’t try to do things it shouldn’t. This is a good example of how developers feel about Vue’s documentation (carefully curated by Chris Fritz from the core team). Many guides, examples, questions, and APIs cover everything you may need once you start working with it. As a project, Vue.js has come a long way to become what it is today. It has grown from a small experiment into a mature framework that is used by hundreds of thousands of developers all over the world. The first Vue commit is dated back to June 27, 2013. That was the time when it still was called “Seed”. That’s almost 5 years ago today. The first name stuck for nearly six months before it was eventually changed to Vue in early December of 2013. The first public release (0.8.0), however, was unveiled only in February of 2014. At the time, Vue was a library that only focused on the View layer of the MVC architectural paradigm. There were several important aspects of Vue that made it “click” with developers. The template syntax followed a style similar to AngularJS and a component-based architecture introduced by React, thus creating a smooth bridge between the two mindsets. Vue is somehow a golden mean that got the best parts of AngularJS and React, with a constant emphasis on developer experience and approachability. In the meantime, the community saw the release of vue-router (August 18th, 2015), vuex (November 28th, 2015) and vue-cli (December 27th, 2015). These libraries marked the transformation of Vue from a View-layer library into what we today call the Progressive Framework. In April 2016, we’ve seen the release of the much-anticipated version 2.0—a complete rewrite of the framework which introduced several new concepts like the Virtual DOM, as well as and Server-Side Rendering capabilities. However, the API remained virtually unchanged, so the migration was smooth. The official vue-migration-helper tool helped the process, too. Vue was the most starred project on GitHub in 2016 and 2017. 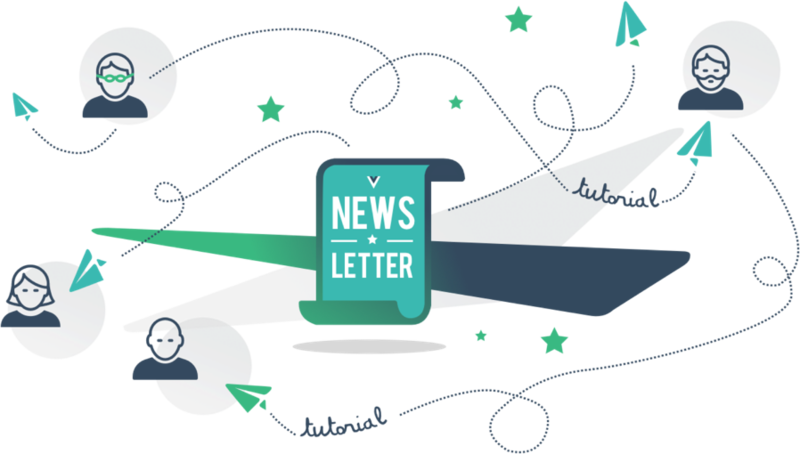 The community interest is incredibly strong—when we launched the Vue Newsletter (which is now an official Vue.js newsletter), hundreds of people subscribed in a matter of minutes. The never-ending stream of email notifications made us feel like Instagram stars. The first issue of the newsletter went to 759 subscribers. seventy-seven weekly issues later, our audience has grown to nearly 7,000 subscribers. Each new issue is harder to prepare because of how much new Vue-related content surfaces basically every week now. High-quality tutorials, insightful articles, and all the libraries I could ever think of now tend to show up daily. It’s insane! And that’s not all—the Vue community is bolstered with a thriving forum and a Discord channel, with thousands of developers active on both of these outlets each day. 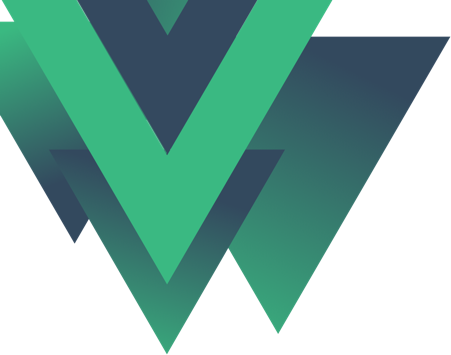 It’s worth mentioning that apart from the community projects, the Vue Core Team also maintains several official libraries, such as vue-router, vuex (state management), vue-rx, and vuex-observable (for RxJS), as well as tools like vue-cli, vue-server-renderer, vue-loader, vetur, and vue-migration-helper. Because it allows you to progressively opt-in to use other core libraries that transform Vue into a full-fledged framework like Angular or Ember, with the guarantee that it will work seamlessly. However, you can always switch parts of it for other, unofficial solutions, if that is what your project requires. Another good thing about the official supporting libraries is that they always represent the highest quality and offer long-term support and compatibility with Vue itself. As one would expect, a massive and highly involved community such as Vue’s comes with a significant number of community projects. And not just small, focused libraries, we’re talking large-scale projects here. For example, Nuxt.js—a highly-opinionated framework built on top of Vue which combines several smaller tools as well as patterns that make it incredibly easy to develop applications with SSR support. There’s the Quasar Framework, which helps with the development of hybrid mobile and desktop applications. There are also several very popular UI frameworks like Element-UI and Vuetify that will give you dozens of unified UI components to bootstrap your application. Vue also gets more and more support from mobile development frameworks like OnsenUI by Monaca and NativeScript. Vue already has everything your app will probably need. Each week I see more and more libraries being published, to the point that it’s impossible to keep track of all of them. Many of those libraries can be found on this list of awesome things related to Vue.js. The great thing is that the core team manages a list of recommended libraries for popular tasks like validations, i18n, AJAX requests, to help with the fatigue of picking the right tool. There is a significant advantage in that. The project doesn’t have to follow the needs of a particular company and can instead focus on what the community needs. But the focus on developer experience goes far beyond webpack and is present in every aspect of the library, starting from its ease of use, through smooth integration, and up to top-notch documentation and overall scalability. Obviously, Vue.js—again, like almost every other open-source library—began as a one-man project. Since then, it has grown to the point where it has a fully-staffed core team that takes care of different aspects of the library and its ecosystem. The funding? Over the last years, individuals and companies from all around the world decided to support Evan You (the creator) and the Core Team with a stable monthly income of over $12,000 through successful campaigns on both Patreon and Open Collective. This allowed Evan to shift to working on Vue full time. The sponsors include multiple companies and hundreds of other private backers. The list of current sponsors can be found here. Here are some numbers that might give you a feeling of how fast the Vue ecosystem is growing. Right now it’s the second most-starred frontend framework, sitting slightly behind React, and the sixth most-starred GitHub project overall. It already surpassed jQuery and Angular. Naturally, there is a number of other metrics to check out, such as monthly npm downloads (~800k) or weekly dev tools users (~270k). The npm numbers might seem small compared to React, but the number is still growing. Looking at the momentum Vue currently has, it’s safe to assume the numbers will grow at an even greater pace in the coming years. A big part of this growth comes from the fact that more and more companies are picking Vue as their main frontend framework. Among other things, these recent adopters have been praising Vue’s incredibly smooth learning curve, ease of integration into their existing stack, top-notch performance, and—what’s probably the most important factor—the improvements in development speed and reductions in maintenance costs. In other words, choosing Vue saves money. But don’t take my word for it just yet. To make our case, we surveyed 1,126 developers from 88 countries, and collected several case studies, hailing from a range of different industries, that have adopted Vue. Read on. Vue.js was created to help more developers enjoy building apps on the Web. How does this mission come with reality? For years, tech communities have run surveys to determine satisfaction levels for different technologies. In this chapter, we will discuss research from State of JS and State of Vue.js, focusing on the latter, as it was devoted exclusively to Vue.js and gives an overview on how Vue.js developers use Vue. The State of JS survey on the other hand was conducted on much more diverse groups of devs, thus giving us better insight into how Vue compares to other frameworks when it comes to the satisfaction level. According to State of JS, back in 2016, Vue.js was unknown to 23% of developers. Compared to the impressive 100% recognition for Angular and React, it was quite a poor result. Every other option (Ember, Angular 2, and Backbone) reported over 97% recognition level. In 2017, however, the situation has changed significantly and only 5% survey respondents said they’ve never heard of Vue and other, much less known libraries showed up in the research (Aurelia and Polymer). Although React dominates the ranking with 93% of devs declaring willingness to use it again, Vue.js is a close runner-up, scoring 90%. In 2017, 21% of respondents said that they’ve used Vue in the past (a year prior, the score was only 11%). However, that’s still significantly less than React (57%) or Angular (61%). After VueConf, which we organized back in June 2016, we came up with the idea of creating a comprehensive report on what’s going on in Vue.js (which we already quoted here). As part of the report, we decided to conduct a survey among Vue.js developers to learn more about their experiences with Vue. All report data comes from a survey conducted over a four-week period in August and September of 2017. We received 1,126 responses, mainly from software developers and Chief Technology Officers (94.1% of the respondents held these or related technical roles) whose organizations use Vue. Responses came in from every continent on Earth (except Antarctica); in total, we’ve managed to collect replies from 88 countries. We also asked Evan You, Vue creator, and Chris Fritz, Vue Core Team member, to comment on some of the survey results in order to provide additional insights or to share their broader perspective. If you want to access all that data with comments, get the State of Vue.js report. Here, we will outline only the most important insights that may be useful if you’re considering using Vue.js for your product. what other backend and frontend technologies are used in those companies. survey participants would use Vue.js again for their next project. of the respondents used the Official Vue documentation as their main source of knowledge about the framework. of survey participants say that ease of integration is one of the chief advantages of having Vue in their organizations’ tech stack. are convinced Vue.js is going to get more popular in their organization in the next 12 months. What was the most important reason behind adding Vue.js to the technology stack? The developers are more or less unanimous: Vue.js is pretty easy to start with, even for a really complex applications. They appreciate its simplicity and architectural elegance, elaborate on how easy it is to integrate Vue, but also compare its lightness and performance to other popular frameworks, claiming Vue is the unquestionable winner here. All in all, Vue.js is described as a beginner-friendly framework by more than half of the respondents. Lack of former Vue experience among their colleagues was seen as a possible issue when planning to add the framework to their tech stack (45%).Lack of a popular native development platform was mentioned by the same percentage of respondents as their doubt when considering using Vue.js. Percentages do not sum up to 100% due to the multiple choices. Doubts about Vue.js scalability were chosen by 172 survey participants, making it one of the five most prevalent doubts plaguing developers planning to add the framework to their current tech stack. Architectural-wise, Vue is built on the component-based model for UI development which is a proven pattern shared among all major frameworks, with solid official solutions for SPA routing and large-scale state management. It is designed for approachability, but is also designed with scale in mind. What are the biggest advantages that Vue.js brings to your organization? An impressive 81% of developers emphasize ease of integration when it comes to Vue. 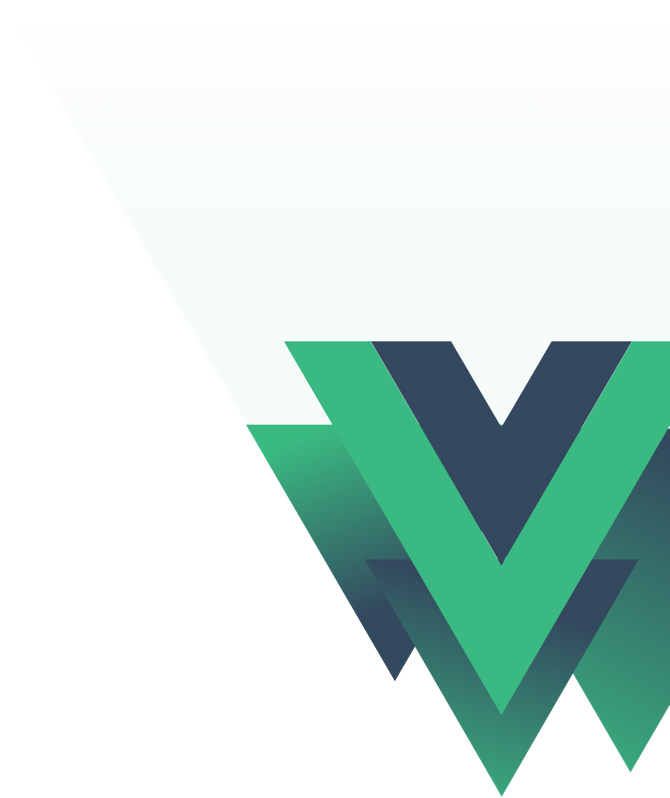 The majority remarked upon how it is to master Vue and claimed that it’s much easier to learn than other popular frameworks. They also appreciate its uncomplicated integration with backend frameworks . Documentation is another strong point of Vue, brought up by 60% of surveyed developers. A similar number of respondents (56%) identified the framework’s performance as its biggest advantage. More than 95% of respondents claim they would use Vue.js again for a new project. A number that high clearly proves that their doubts went away once they gained experience with the framework. Do you think the number of employees using Vue.js in your organization will increase in the next 12 months? 54% respondents are convinced Vue.js is going to get more popular in their organization in the next 12 months. However, those who work at large enterprises (with over a 1,000 employees) are even more certain Vue is going to be widely adopted in their companies: 76% of them believe so. What are the main technologies and frameworks you use for frontend development? What are the main technologies and frameworks you use for backend development? Why so many companies chose PHP and Node.js? One of the best reasons is server-side rendering. In Vue, server-side rendering has been possible with Node.js for a while now. Thanks to PHP v8js, it is now also possible in PHP. You already know that Vue is willingly used by developers due to its smooth learning curve, great documentation, and ease of integration. But using a technology only makes sense when the tech itself is ready for commercial usage. Many businesses may think that seeing that Vue is not supported by a major corporation, it is not stable and not ready for commercial applications. If you do some digging, however, you will discover that Vue.js is already used in many products and by many companies you know. This chapter will give you an overview of which companies use Vue.js, as well as explain how GitLab, Codeship, and Livestorm arrived at the decision to adopt it and how it changed their business. Developers from China, Evan You’s (the creator of Vue) country of origin, make up a considerable portion of the overall number of developers who adopted Vue. Examples of Chinese companies using the framework in their products include Alibaba, Baidu, and Xiaomi. When we were working on the State of Vue.js report we had the pleasure of meeting and interviewing some of the companies listed above. These conversation ultimately produced six case studies which offer a substantial body of evidence proving that Vue is a mature technology, used for commercial purposes by companies of various shapes and sizes. All six companies we interviewed had faced the challenge of choosing the right framework, and they all decided to go with Vue—even though they were in different stages of growth and had different goals. If you’d like to read all of them, see Chapter Four in the report. Below, you’ll find stories from Codeship, GitLab, and Livestorm, told by company insiders. Before Codeship started working with Vue, their audience experienced freezes and browser crashes. They had a long list of users who were dissatisfied with the performance of the app. Their story is a great example how Vue can help build a reliable software, with bulletproof, easy-to-maintain code. Jacob Schatz, frontend lead at GitLab, explains the company’s decision to move from jQuery to Vue.js and describes key challenges they encountered along the way. Their focus on better UX resulted in a more desirable product and thus in increased sales. In the Livestorm case study, Gilles Bertaux, co-founder and CEO, describes how the company created a profitable product from scratch. Thanks to Vue and its reusable components, their development has been faster and much easier. 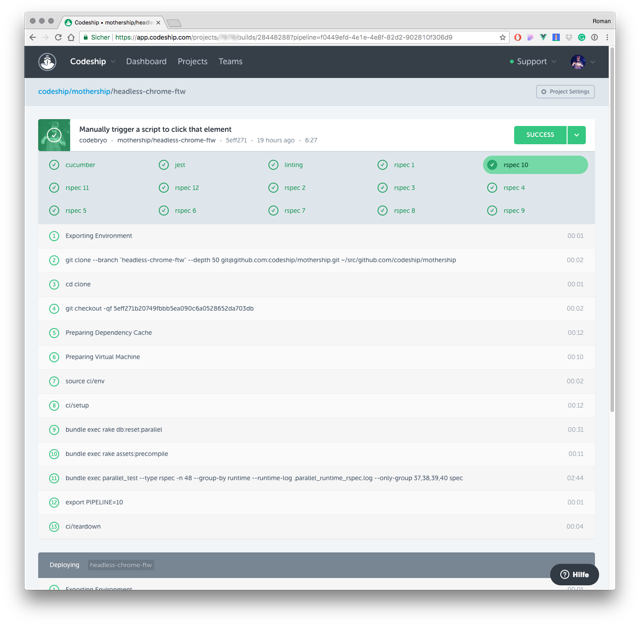 Codeship is a Continuous Integration Platform in the cloud that lets you ship your apps with confidence. Open source projects are always free on Codeship. Codeship, a CI platform used by companies such as CNN, Red Bull, and Product Hunt, launched in 2010. With jQuery and CoffeeScript in their stack, they built a successful platform for developers around the globe. But as time went on, the team realized that it’s time to find a technology that would support further development and facilitate building more complex things. 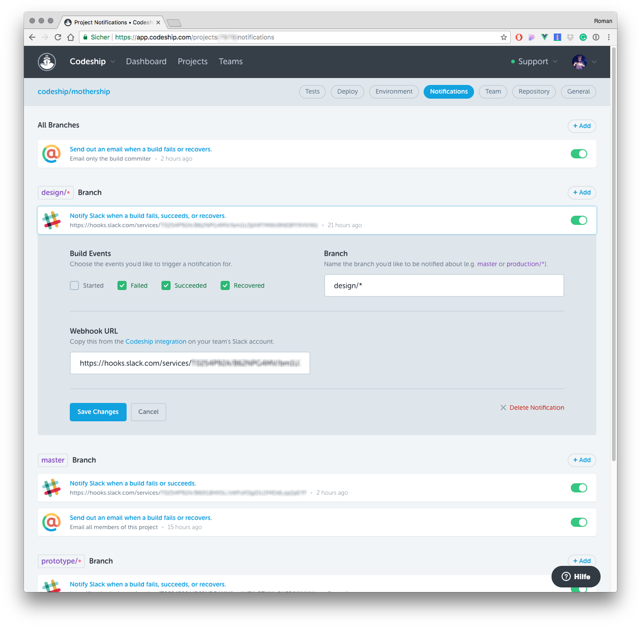 “To give you some perspective—Codeship is used by a ton of customers who rely on it in their day to day operations. When we’re working on a feature for, let’s say, four months, it somehow feels bad, like we’re holding something back from our customers. If we spend two months fixing features, this in turn means two months of pain and uncertainty for them. It is absolutely crucial for us to be fast and deliver reliable products,” Roman says. “We have pages that basically show the complete terminal output as readable log for our users, so they can see what test went through and what output they have. It was clear very soon that something like jQuery, on which our product was running before, wouldn’t cut it anymore because of the growing complexity,” Roman reflects. The company switched to Angular and it was a good fit. Yet, as the service grew, it soon became apparent that sticking with it would not be feasible in the long term. Roman, however, didn’t want to give up on Angular right away. Another significant challenge that Codeship faced was improving the testing process and making the app more reliable. The first step of transitioning away from Angular was getting the approval of the staff and the VPE. Roman decided to use his knowledge and research to convince them to move to Vue.js. Before Codeship jumped straight to development, they needed a proof of concept. “By then I had little experience with Vue, my expertise in the framework was definitely limited. However, starting with Vue seemed effortless and I quickly felt that it would be the solution to most of the problems that plagued us. In one evening or so, I rebuilt a crucial part of our rendering with Vue, and tried it against a large amount of Loglines as a proof of concept. Then I did all the CPU profiling. That was the one thing that immediately demonstrated to my team that Vue.js has already given us a huge performance improvement. We cut the rendering time from 30 seconds to 7 or so,” Roman recalls. Proof of concept in hand, Roman and his staff could finally start the transition to Vue. “We tried to move the proof of concept and replace what we had with Vue. The actual risk here was quite minimal. We had a system that was breaking for users, so… What was the worst thing that could happen?” Roman laughs. Moving from acceptance tests made the testing part more pleasant and reliable. “We moved away from acceptance tests and started wondering what we can take away from and use Jest and Vue tests for. We use multiple components even for complex pages in Vue itself, but only test it through Jest for example, because we have snapshots and verify whether the render HTML is actually the one we want. “ Roman explains. Vue.js helps Codeship organize their code and improve user experience. For Codeship, Angular testing was an incredibly painful process. With Vue.js, they know that their code is bulletproof. “Vue.js seriously upgraded our testing protocols. We have Jest in place, which is a smart test runner for us. With Vue, we feel like we have way more control over every aspect of the app,” Roman elaborates. 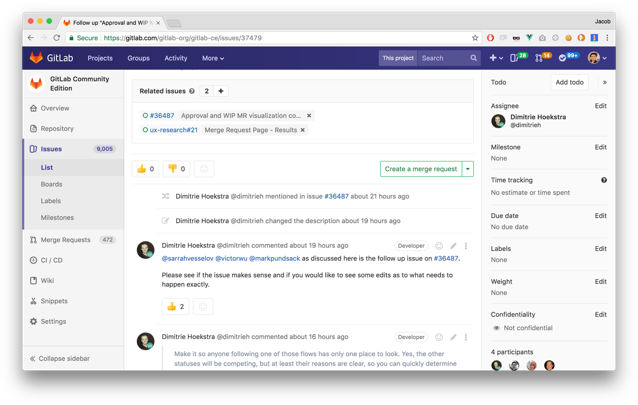 GitLab is an open core, integrated solution for the entire software development lifecycle. 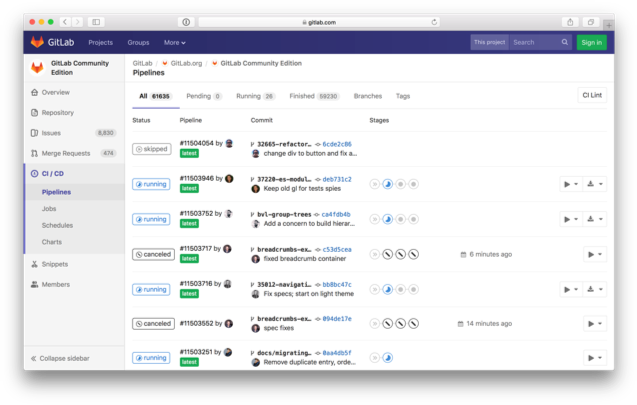 After six years on the market, GitLab has established itself as a well-known solution for developers hailing from thousands of companies. Only two years back, most of its code was still written in Rails and jQuery. To meet their goals, GitLab started looking for a new solution. “We checked Backbone, which I had previous experience with, we obviously looked at React, but also Knockout, Ember, and all those different frameworks. I wanted to do a small project using each. By then I didn’t even bring up Vue.js at all!” Jacob recalls. Testing all these frameworks helped Jacob identify their advantages and drawbacks. Another big challenge was to make a mature switch to a new technology. It was a bit risky, and thus had to be well executed. After testing a few frameworks, Jacob still didn’t have a perfect match on his hands. It was only after he wrote a pretty big project with an early version of Vue.js he realized that he may have struck gold. “When I had this one project together, I knew it was something we could write a lot of code with. It wasn’t just about writing a simple to-do app. 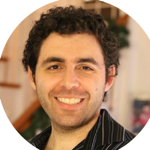 When you get to work on this large application—that’s where all problems actually start,” Jacob explains. Before GitLab started diving into Vue.js, they needed a proof of concept. 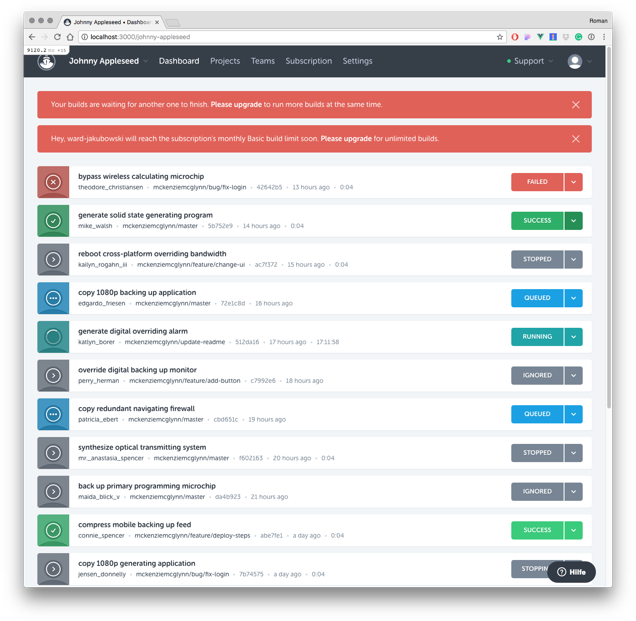 “Phil Hughes [Sr. Frontend Engineer at GitLab], created a proof of concept where we took a major feature that we were doing—issue boards. Phil wrote that using Vue.js and it was immediately apparent that we got a tremendous amount done in a small amount of time! Without all those bugs which typically came with jQuery,” Jacob says. Vue.js supports the approach evangelized by Jacob within his team—iterate small and create proofs of concept. Using the same approach, GitLab introduced webpack to be able to split the assets into smaller chunks downloaded by the browser and thus improving the app load time. “We created a small proof of concept to see if webpack was even feasible. When we found out that it was, we went the whole way and ended up writing and entire Trello application in Vue. And replacing the billion-dollar industry in one month. Good job, Phil!” Jacob laughs. One feature of Vue.js turned out to be the most useful out of all—reactive templates. 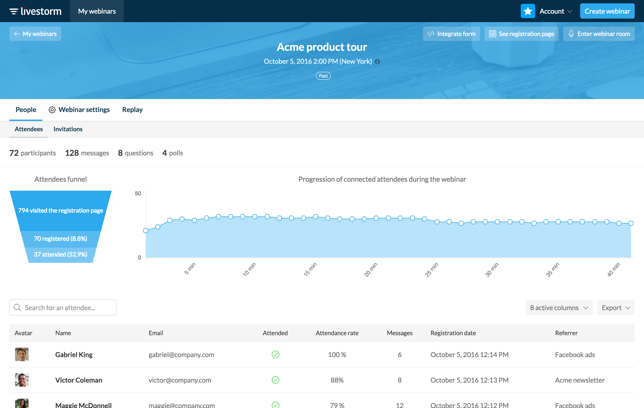 “It’s a very, very simple thing that Vue does. One of the first things I programmed in GitLab was to take the issue page, and when you clicked close, you had to refresh the page. And now when you click close, it just changes the status of the merge button, changes the status of the button below. It does all those things automatically. In jQuery, there was a ton of code. At least 30-40 lines to make sure that the buttons were in the right state. With Vue.js it was literally one line of code. The view always reflects the current situation,” Jacob explains. With all its advantages, Vue turned out to have one drawback. Scaling up the application and introducing new features would be possible with jQuery, but it would be much harder to maintain. “What we do right now would require a tremendous amount of code and a lot more organization. Vue has a lot of these problems solved,” Jacob says. Thanks to Vue.js, GitLab can iterate quickly and improve their usability. Vue.js is so open and accessible that it’s pure pleasure for GitLab frontend developers to deal with it on a daily basis. Vue.js helped GitLab improve time and cost efficiency. Jacob agrees that they will definitely use Vue.js in the future. 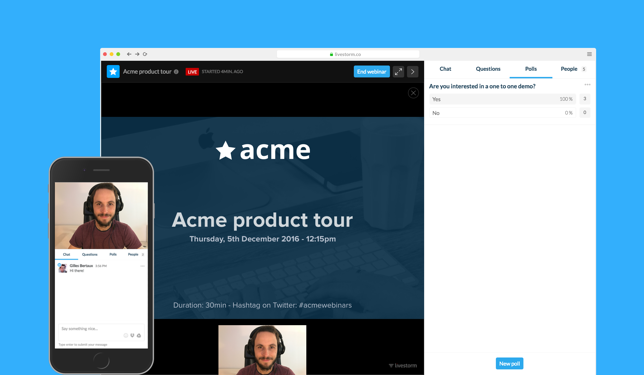 Livestorm is a all-in-one web-based webinar solution. It helps companies like Workable, Pipedrive or Instapage do live sales demo or customer training. Unlike other webinar platforms, Livestorm renders everything in the browser. The service provides actionable insights through analytics, integration with popular CRMs, and marketing automation software. For an app like this, Gilles and his team had to pick a high-performance tech stack. Starting from scratch, they were intent on validating their idea and building a stable and reliable product. “The backbone of Livestorm is a Rails app—everything in backend is made with Ruby. For all our frontend components we chose Vue.js,” Gilles explains. A startup created by four co-founders, Livestorm sought to assemble a robust staff from the company’s very beginning. To build a successful live streaming product, the team had to focus on reliability. “Reliability is a top priority for us. If you lose the live stream, webinars and demos crash and lose stream, our business basically makes no sense,” Gilles says. Most of developers still choose React and other popular frameworks, but Gilles believes there’s a shift coming. “To hire experts for our staff, we attended Vue.js meetups in Paris, where we met highly experienced people. We also tried recruiting via job sites. Interestingly, most of the developers we spoke with said that they use Vue.js for their own side projects but their jobs have them working on a daily basis with Angular, React, and other frameworks. Often in big, well-established companies,” Gilles points out. “One thing I’ve noticed, however, that companies often use these technologies because they’re forced to by legacy code or because they want to get a taste of this new hot tech everyone else is trying out. In the startup community, on multiple Slack channels and meetups I’m part of, CTOs and co-founders I spoke with who were interested in moving towards Vue.js were very excited with the fact that we’ve chosen Vue at Livestorm and have been asking a lot of questions about it. 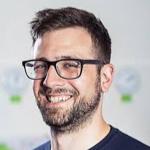 Frankly, I believe there’s a significant shift coming—people will be more interested in moving towards something reliable and high performance, like Vue.js, while hyped technologies like React will gradually wane in popularity until they’re finally phased out,” Gilles adds thoughtfully. As Gilles wanted to put his product out there as quickly as possible, the team created a quick MVP to get some initial feedback from the outside world. “We spent less than a month building the first MVP. It was enough to present the product and the basic concept. In the end, we got a lot of positive feedback, which confirmed that we have a market fit,” he recalls. The list of features that Gilles’ team built into their platform to make it a competitive solution is really awe-inspiring. After a year on the market, Livestorm has customers from all over the globe and a profitable product. “We have around 150 paying customers. They are all impressed with how fast Livestorm is, they also love the UI and UX. Business-wise, we have an app that runs on its own, without our interference, so to speak—we don’t have a sales team. We have a staff of seven, including product experts, engineers, and one marketing person. That would be me. But just because the product is that good and reliable, we grow by 20-30% each month.” Gilles explains. With Vue.js, Livestorm can release new features faster to the delight of their customers. “We try to ship new things as fast as possible, of course. Right now, we’re two months into a phase that will conclude with the release of a big feature we’re working on, but we usually ship features in a week or two,” Gilles elaborates. 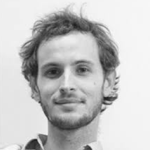 Gilles claims that choosing Vue.js over other frameworks made his company succeed faster. “Only benchmarks tell the truth and right now the benchmarks clearly demonstrate that Vue.js is definitely the choice for new and existing products. So if anyone has to make a technology choice in the near future, they should rely on concrete facts, figures, and benchmarks rather than opinions,” he says. Everything that has been already said on the web in one place. After reading this piece, you will hopefully understand why some developers/companies chose Vue, React or Angular, and the reasoning behind these decisions. However, rather than dive into technical details, we’d like to delve more into the business side of things this time around. Sounds good? Just to be clear, there are probably many great frameworks out there that will fit your product fine and it shouldn’t matter how popular a technology is or which one is the most hyped. At some point of working with a particular framework, you’ll surely realize that it isn’t the best tool in the world. Just make sure yours is a truly educated decision and then check whether you’re absolutely sure of your choice. Okay. I want to introduce you to Vue.js, AngularJS, and React.js, three of the popular frameworks nowadays. As this chapter gives you a lot to absorb, we distilled its contents into this helpful, nice-lookin’ table. As the table only offers a somewhat abridged version of the comparison outlined above, it may lack some important points or pieces of information, and may be biased by our own feelings towards those frameworks. Just so you know—although we recommend Vue.js to most of our incoming clients, here at Monterail we use all three frameworks, always going with the one that best fits a given project, a process which requires a lot of digging and additional analyses . But hey, if you’re looking for key differences between the three, this summary is a great start! Recommended for big projects. Code is easy to understand to native developers. May lack a list of best scaling practices, but works just fine for big projects. Few developers and job offers on the market, but it’s growing. Vue.js has come a long way to become what it is today and it has some big plans for the future. If you’re still worried about its longevity, fear no more. On September 20, 2017, the Vue.js core team hosted an AMA session, answering a host of questions about Vue itself and their plans for the upcoming months. This is a great source of information on what will be happening in the Vue world in the near future. If you want to stay up to date with what’s going on with Vue, there’s a public Vue Project Roadmap you can check out. This chapter will help you understand why you should not be worried about continuity of the framework and what can you expect in the upcoming months. You probably have noticed by now that Vue.js is not owned by any major corporation (shocker, right?). For many developers and companies, it’s one of the key reasons for not selecting Vue for their project and choosing React or Angular, both corporate-backed frameworks, instead. But what does it actually mean? It means that Vue is not a for-profit business, but a community-driven project. From its very beginning, it was meant to be a project by developers for developers, and the entire core team continues to stick by that mission, making Vue one of the most popular frameworks of all time. Saying that Vue is a “one man project” is wildly inaccurate, as Vue surpassed critical mass a long time ago and it’s longevity should no longer be a concern. So if you’re asking whether Vue will be sticking around, the answer is an emphatic yes. As long as developers and businesses are keen to use it, Vue will be developed and maintained by the core team and the community. Almost a quarter of all people who filled out the survey featured in State of Vue.js mentioned the lack of a popular native development platform as one of the chiefs doubt plaguing them when pondering the addition of Vue.js to their technology stack. The release won’t be as major as 1.0 and 2.0 were, and most of the API will remain unchanged. Vue 3 will enhance performance by speeding up the reactivity system, simplify the source, and take the caveats out of reactivity to help less advanced developers. “Many people have asked me why I started working on Vue.js. To be honest, the original goal was to ‘scratch my own itch,’ to create a frontend library that I would enjoy using myself. As Vue got adopted by more and more users along this journey, I received many messages from users telling me that Vue has made their work much more enjoyable, so it seems my preference happens to align with that of many fellow Web developers.